1. Consistent training for field investigators (CSOs or Consumer Safety Officers). Many times people tell me of an FDA inspection in Salt Lake City that is entirely different from another inspection I have heard of in Tampa, FL. Different CSOs have completely different approaches and conduct the same type of inspection by looking at completely different documents. There are many excellent, experienced CSOs but when different clinical sites or sponsors hear differing viewpoints from CSOs, that isn’t good for compliance or best practices. 2. Changing requirements by review divisions. FDA will tell a sponsor to conduct a study with certain endpoints in order to prove safety and efficacy for their investigational product. Then, as the sponsor is preparing for their application, the rules change. This can cost a sponsor years of frustration and millions of dollars. Yes, safety concerns need to be addressed, but sponsors need to know the rules in advance, and have a reasonable expectation of those rules staying in place. 3. Effective mechanisms for corrective actions. 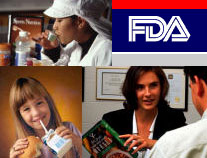 FDA has a Warning Letter close out process. However, it is not evenly applied by different Centers and for different program areas. Regulated industry should have a clear path to performing corrective actions that are meaningful. So those are my thoughts. I would love to hear yours. Please leave a comment. This entry was posted on Sunday, December 11th, 2011 at 12:18 PM and is filed under FDA commentaries. You can follow any responses to this entry through the RSS 2.0 feed. You can leave a response, or trackback from your own site. One Response to A Better FDA? Why Not?